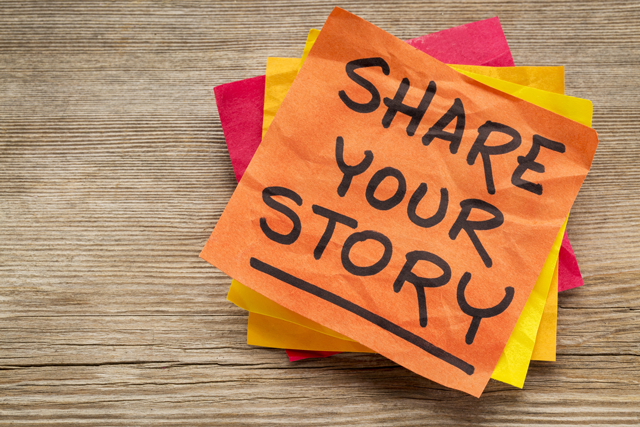 Share Your Story, We Want to Hear It - One Voice Inc. Whether you’ve struggled with addiction yourself, or have been forced to watch a loved one struggle, talking about it can be powerfully therapeutic. Sharing your story can bring hope and encouragement to others that may be struggling with similar issues. Let your voice be heard. Maybe you have a testimony on how One Voice has helped you or a loved one. Whatever your story, we want to hear it. *May we share your story with others?